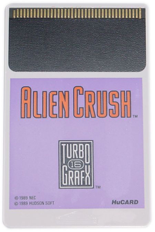 OverviewAlien Crush is a pinball game for the TurboGrafx-16. Pinball was never as surreal as this. 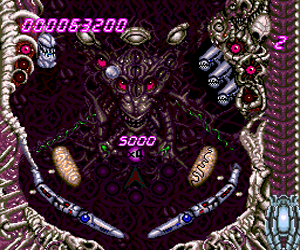 This game features a creepy theme and set the standard for video pinball games. 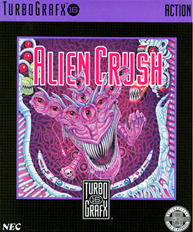 This classic has been the inspiration for newer pinball games such as Pinball of the Dead and Odama while maintaining its status as a solid game in it's own right even after several decades have passed. Now you can add videos, screenshots, or other images (cover scans, disc scans, etc.) 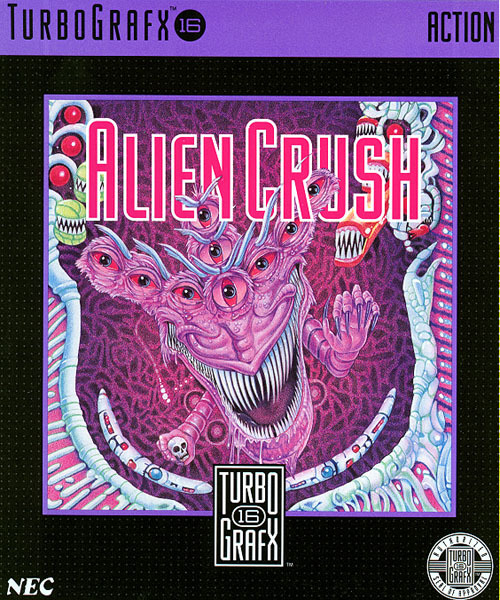 for Alien Crush (USA) to Emuparadise. Do it now! If you haven't noticed yet, we have a retro game of the day feature (top-right of the screen) wherein we feature a new retro title every single day! Now, you can vote for your favorite games and allow them to have their moment of glory. 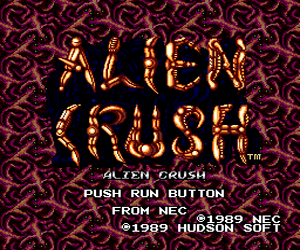 Click on the button below to nominate Alien Crush (USA) for Retro Game of the Day.